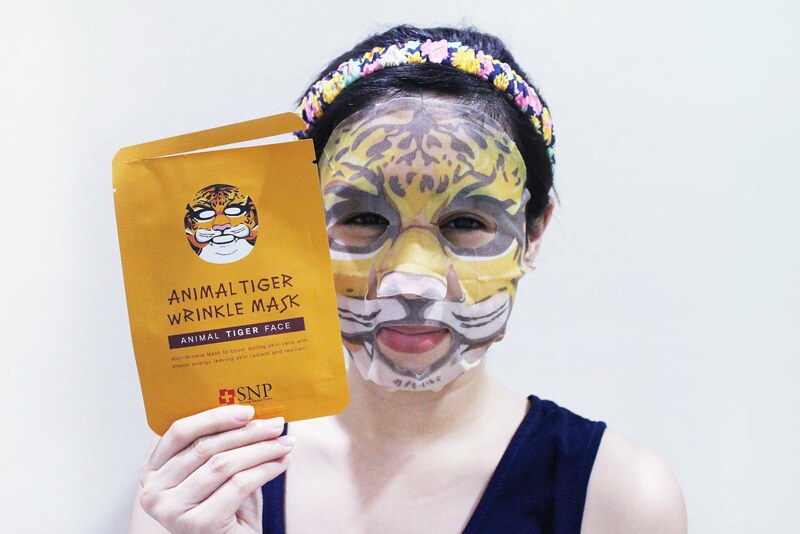 Hey, look at these animal face masks! They're just so fun. I'm glad I was finally able to share it on the blog. These are from Korcosmetics at the Trendsetters Bazaar. I bought it for Php 100 per sheet mask but they're also offering a package of Php 300 for all the four sheet masks. I also saw these masks at Watsons, so if you want to try it out you can buy it there. I just don't know how much it costs there. 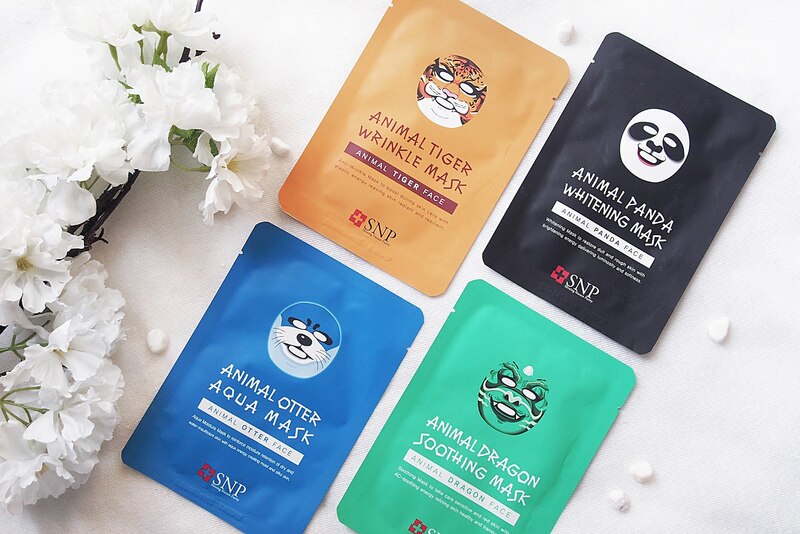 The animal/character face masks entering the beauty scene made skincare junkies like me jump for joy. Well, I don't know about the others but the little Mica inside me is giddy. Anyway, let's find out if these face masks worth it or is it just for fun and aesthetics. Product Detail - Soothing Mask to take care of sensitive and red skin with AC-soothing energy (what the h is AC? >.<) refining the skin making it healthy and translucent. Since the product description on the package is a bit off and confusing I went on and googled more details about the product. 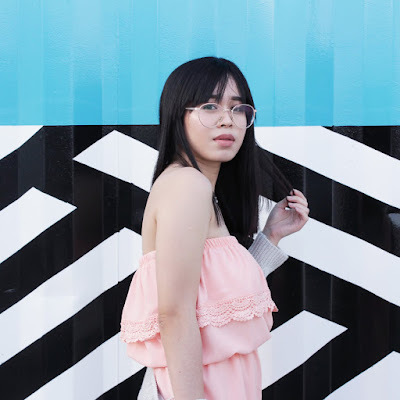 Taken from BeautyMNL (You can shop the masks online. YAY!) - Calms redness and fades hyperpigmentation; formulated with gentle anti-inflammatory herbal ingredients; contains tea tree oil, green tea extract, and rosemary extract. Perfect for irritated, acne-prone skin. The very first thing I noticed after opening the sheet mask is that there's an enormous amount of serum. It was also watery, making the serum drip from the mask. I didn't like the drippy situation and how it took my skin a while to absorb the product probably because the mask was drowning with the serum that it made it heavy for my skin to absorb. I also don't think all these masks are best for summer since they feel a bit tacky because of the heat. Di ko alam kung ako lang yun, pero di ko tlga feel siya sa mainit na panahon, tingin ko mas okay siya kapag malamig lamig ang weather. The sheet mask smells of sunscreen with a hint of floral. 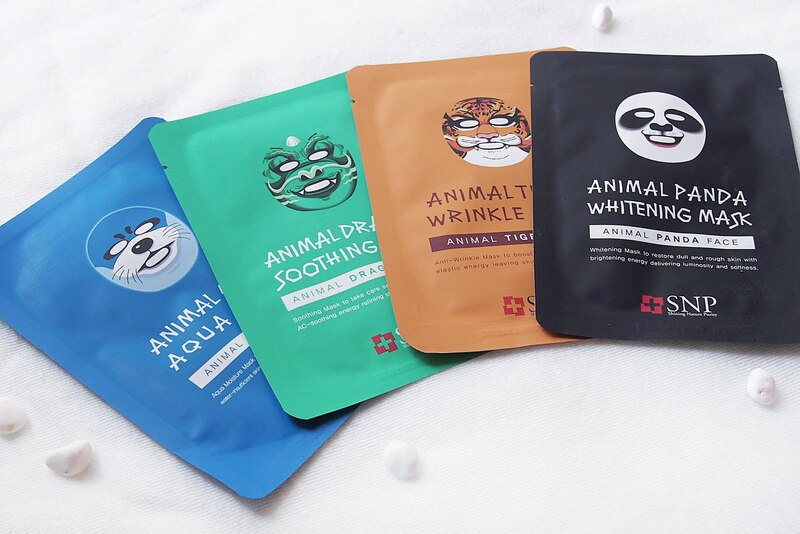 What I liked is that I was able to use the leftover serum for 2-3 more applications (same with all the other three animal masks). From BeautyMNL - Delivers superior moisturization with a rich blend of baobab extract and hyaluronic acid; soothes and calms with lotus extract; provides an extra layer of moisture to protect from UV rays, airborne chemicals, and pollution; leaves skin healthier and more supple. Perfect for dry, flaky, irritated skin. Same with the Dragon, this too had a lot of serum though this one didn't drip as much as the first. It had the similar sunblock kind of scent but it also smelled a bit of powder/floral-ish. Out of all the four masks, the fragrance of this one was my fave. Oh, also, one thing I noticed is that my sheet mask was lighter compared to the ones I saw online. The sheet mask worn by the girls I saw on google were a tad more bluish than mine. I'm getting the feeling mine isn't legit. Oh please, noooo. I hope not. Product Detail - Anti-Wrinkle mask to boost dulling skin cells with elastic energy (woah, elastic what?) leaving skin radiant and resilient. Okay, this one was also dripping a lot. This also had that sunblock/clean kind of scent. Compared to the others, the serum of this one came out a little bit orange not sure if that was from the ink of the mask or that's just the way SNP wants this mask to be. Of all the SNP animal mask, this one is I think I like the most and likely to purchase again. I am for its anti-wrinkle properties. Product Detail - Whitening mask to restore dull and rough skin with brightening energy delivering luminosity and softness. From BeautyMNL - Improves skin condition with mulberry, pomegranate, and niacinamide; leaves skin fairer, luminous, and even-toned; regulates the skin’s hydration level. Perfect for radiant, fresh-looking skin. Out of all the masks, this was what I was looking forward to using the most (because panda) even though I tried it last. I'm just excited to be a panda for a few minutes. Lol. I did like this one although I don't really need it's whitening benefits since I'm white as paper so I'm not sure if I'll buy it again. Huhu. I also liked the smell of this one, second to the Otter mask. Each mask targets a certain skin problem. 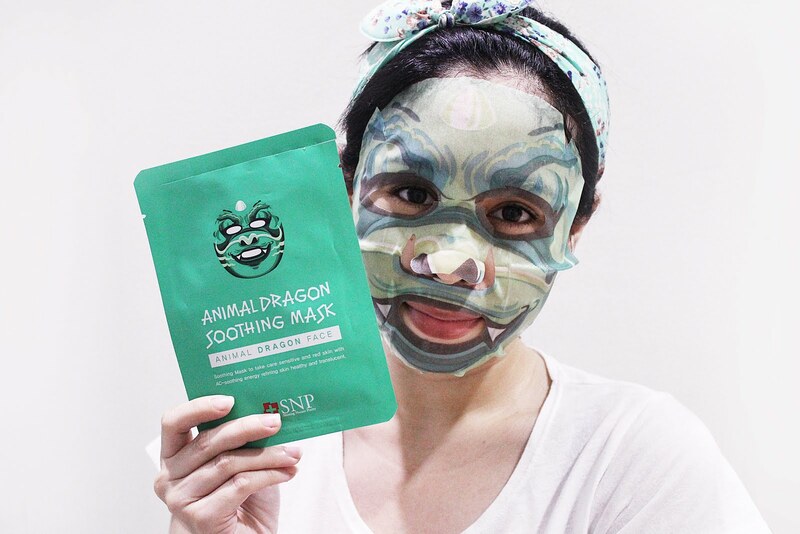 If redness and acne are your concern the Dragon is best for you. If you have dry skin go for the Otter. For those into anti-aging go for the Tiger. 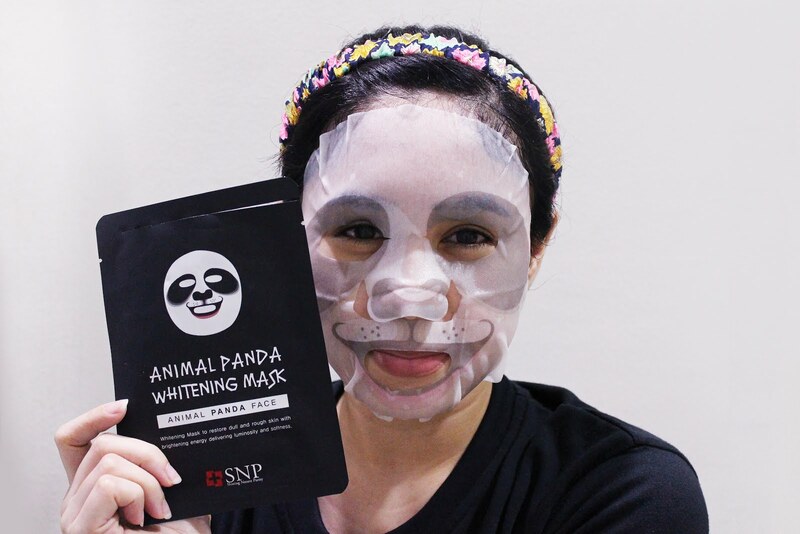 If whitening is what you're after go for the Panda. All of these masks had an enormous amount of serum. As mentioned excess liquid can still be reapplied for 2-3 times but I don't suggest you do it because I don't know if it's safe and hygenic but if you're like me who doesn't care and wants to make tipid the product then go ahead, gamitin niyo uli ung natirang serum. Hindi nmn ako pinimple so keri lang. Mwahaha. Honestly, I am quite amused and amazed by these masks. I'm not sure if these masks were responsible for clearing some of my pimples apparently, I was also trying out the April Skin black soap at that time but I think they took part in the clearing process since I used the April Skin days before the masks. Anyway, what I really really love is how my face improved, it's soft and moisturized af. Grabe, di ko expect. Also, I'd likely use these when the weather is a bit cooler. I tried these during the somewhere and it felt slimy and icky coz' of the heat. I think it would feel awesome on colder days. Will I buy again? Definitely gonna buy the Tiger and Dragon. The other two maybe, since I don't really need the whitening, sobrang puti ko na bes, might have to pass the Panda. 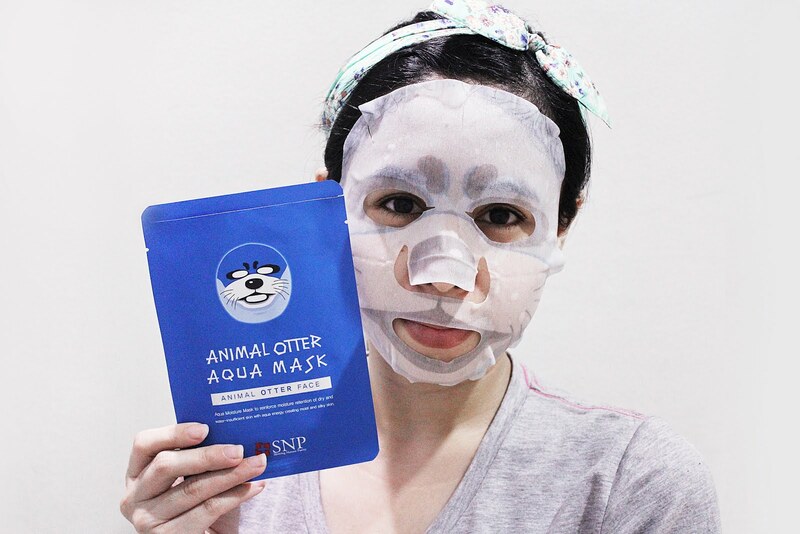 As for the Otter, I have oily skin so I don't think it's best suited for me. Remember the things I've said are solely based on my personal experience from using this product. I bought these with own my money so I won't really gain anything whether I say good or bad things about it.